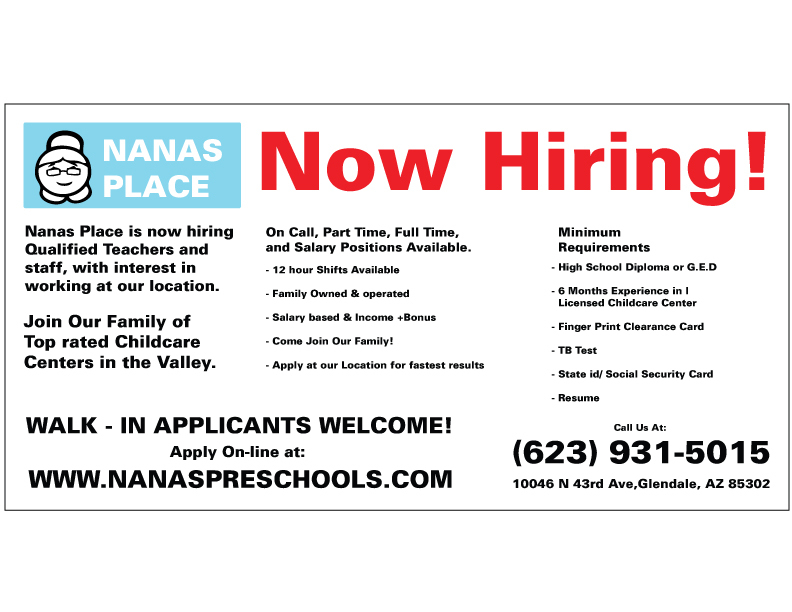 Nanas 24/7 Childcare Academy Now Hiring! Salary, $7.80- $15.00 an hour, depending on experience & training. Call us (623) 931-5015 for more info.